Prostate Cancer UK has awarded Imperial researchers over £1.3 million for three projects that could lead to new treatments for the disease. The Research Innovation Awards is a prestigious scheme aimed at funding the most impactful research in prostate cancer. The number of prostate cancer cases is increasing in the UK – the condition kills over 11,000 men every year – and research is desperately needed to find new ways of tackling the disease. The Imperial projects funded by the award include developing new targeted therapies to reduce side effects in patients, identifying new drug targets to stop prostate cancers becoming resistant to treatments, and new drugs to treat advanced prostate cancer. One of the projects will involve collaboration with clinicians at Imperial College Healthcare NHS Trust. Prostate cancer is the most common cancer in men in the UK with around 35,000 new cases diagnosed each year. It develops when cells in the prostate grow in an uncontrolled way. Prostate cancer develops slowly and symptoms such as the blood in the urine do not appear until the disease has developed. It usually affects men over 50 and often men with a family history of the disease. Deaths from prostate cancer have now overtaken those from breast cancer. 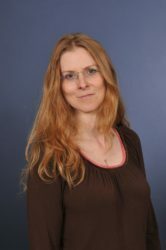 Maxine Myers caught up with the researchers to learn more about the projects. 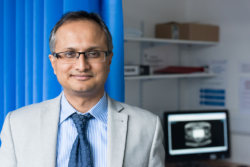 Professor Hashim Ahmed, Chair of Urology at Imperial College London, and Taimur Shah, Urologist at imperial College Healthcare Trust, were awarded more than £485,000 to trial focal therapy in a small group of men. Focal therapy is a term used to described non-invasive techniques, which specifically target tumours and leave the rest of the prostate intact. These include using sound wave therapy to heat and destroy cancer cells in the prostate. 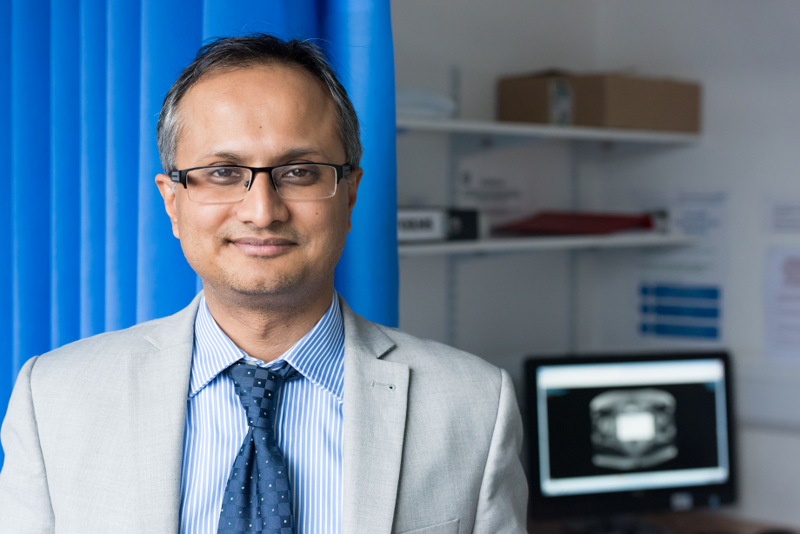 Currently, men with prostate cancer will usually be offered surgery or radiotherapy that treats the whole prostate, rather than just the areas that have cancer. Although this treatment can be effective it can result in side effects such as incontinence and erectile dysfunction. The researchers want to see if focal therapy can be used as alternative treatment for prostate cancer by comparing it with radiotherapy. Previous studies have shown that the treatment is effective and result in fewer side effects. Sixty men with prostate cancer will be recruited for the trial and they will be randomly split into two groups. One group will receive focal therapy and the other radiotherapy. The researchers will then compare the groups to see if there any difference in the progression of the disease or side effects. Professor Charlotte Bevan, Professor of Cancer Biology at the College, and Dr Claire Fletcher, Prostate Cancer Foundation Young Investigator at the College, were awarded over £593,000 to identify new drug targets to treat patients with advanced prostate cancer. Advanced prostate cancer is cancer that has spread from the prostate to other parts of the body. Men with this disease are usually treated with hormone therapy, which blocks the hormones like testosterone that drive the cancer’s growth. However, in some men this treatment stops working as their cancer has evolved to resist the treatment. 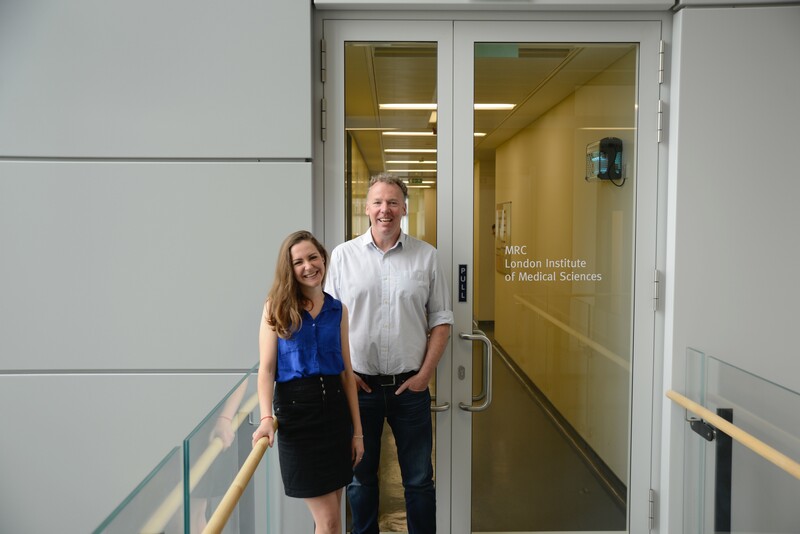 Professor Bevan and Dr Fletcher want to understand why this occurs so they may be able to design new drugs that can stop the disease becoming resistant to hormone therapy. The researchers will examine the role of a recently discovered type of genetic material called microRNAs in prostate cancer. 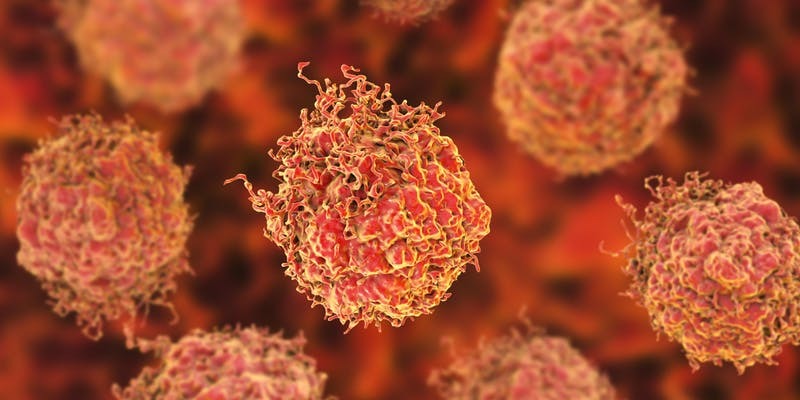 The types of microRNAs in men change as prostate cancer progresses, suggesting microRNAs might contribute to tumours becoming hormone therapy resistant. The team will test these new drugs on prostate cancer tumours grown in the lab and in mice to see if they can alter cancer progression or the development of hormone therapy resistance. If successful the team will trial the drugs in patients. Professor David Carling, Professor of Biochemistry at the College, was awarded over £235,000 to further develop work on two new drug targets, which could be used together to stop prostate cancer from progressing. Professor Carling and his team have found two new targets involved in regulating prostate cancer growth. This discovery could be the foundation for new treatments for prostate cancer. The targets are a type of enzyme called protein kinases. One of these protein kinase triggers cell growth, like an accelerator, and the other stops cell growth, like a brake. When they work normally together cell growth is balanced. However, in prostate cancer cells these proteins become dysregulated, resulting in increased cell growth and prostate cancer development. The team will use drugs to see if stopping the ‘accelerator’ kinase and boosting the ‘brake’ kinase could help stop the excessive cell growth that occurs in prostate cancer. They will do this in prostate cancer cells grown in the lab and in mice to see if the treatment works and if there are any undesirable side effects. The team will also develop and use new biomarkers to monitor whether the treatments have been successful in slowing down prostate cancer cell growth.